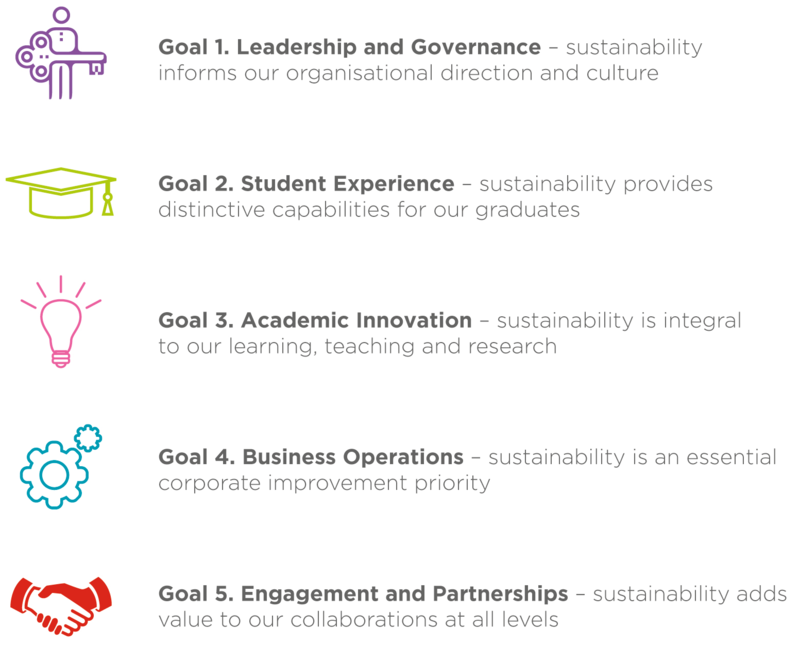 Our Sustainability Strategy 2017-2022 reflects our ‘whole-institution’ approach, with 5 core goals covering Leadership and Governance, Student Experience, Academic Innovation, Business Operations, and Engagement and Partnerships. 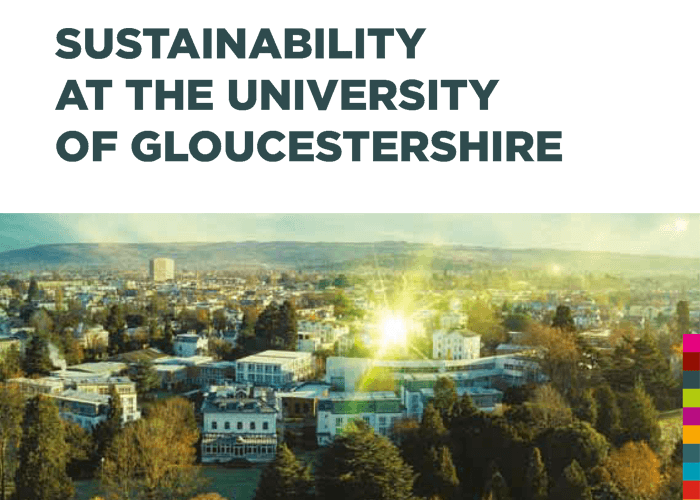 Sustainability is one of the 6 strategic enablers of the University’s Strategic Plan 2017-2022. 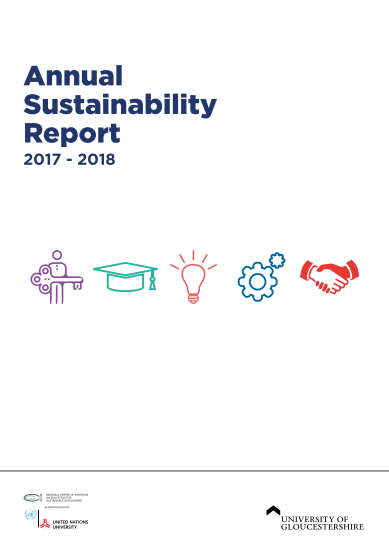 Our annual reporting process, in tandem with our ISO 14001 management review, enables us to review performance each year and set new targets. 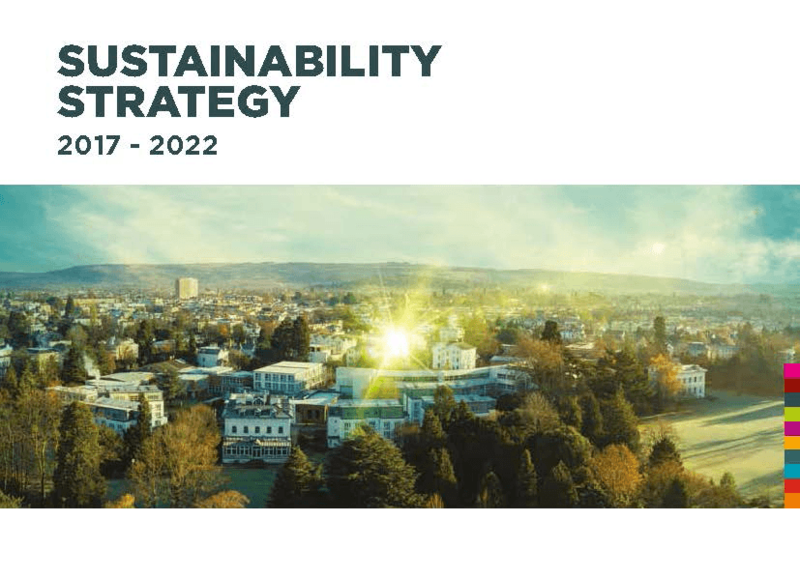 In 2015 we also held an external review panel to assess progress made through our first cross-cutting sustainability strategy, to help set our strategic direction for 2017-2022.